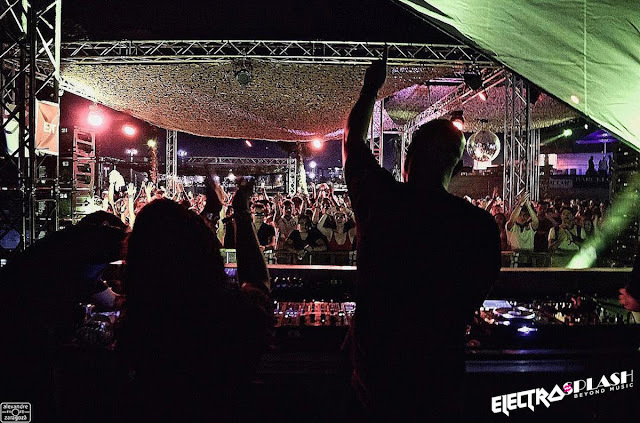 Electrosplash festival, native to the community of Valencia, was born way back in August 2003 at Gurugu Beach (Castellon, Valencia) - as an almost ad-hoc series of underground parties (rave). The movement today has grown into a full fledged international festival, and a fairly sought-after line up, with over 30 artists from various nations performing to approximately 5000 odd people. The festival opened out to a completely new location and 'vista' on July 21nd and 22nd. The roster of artists makes a festival worth going for, or not : as is the case for Electrosplash. Like past years, the festival's curators have stayed loyal to the rising native talent within Spain as well as presenting emerging artists from South Africa, US, Netherlands & UK. Some of the notable (super energy) performances included Floor Plan (USA), Black Coffee (South Africa), Begun (Spain) and Legowelt (Holland). Pushing certain emerging electronic sounds of Spain, DJs like Juarez, Los Suruba, Luso and Mundo D were way more exciting than the eagerly waited for heavyweights like Octave One and Skream. The spectrum of electronic music is limitless today, yet 'boutique' festivals like Electrosplash could include many newer artists (and emerging sounds) from other parts of the world. Also, we felt that there was a negligible representation of women artists. The experience at Electrosplash festival is one of ease, fluidity & harmony. Far from the expected, folks in their late 40s, from as far as L'Alcudia (a very tiny village in south of Valencia) had flocked to party at Electrosplash! At Electrosplash we felt nothing overtly magnificent, yet a very fluid & intimate vibe that was all round, thanks to the presentation, space and flow of music. 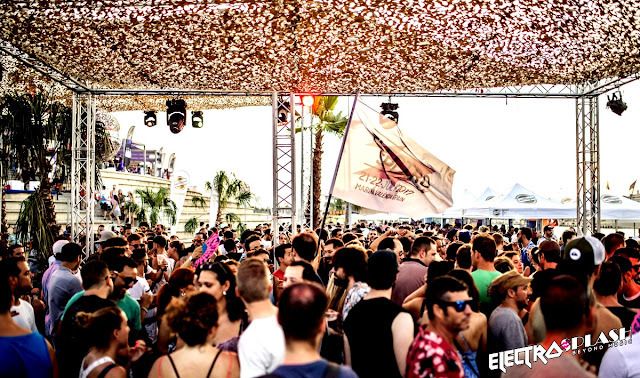 A very innate spanish feeling which is was felt at Electrosplash, was of one of summer celebration and 'open vibes'. From a business point of view, the festival has been a stupendous success as expressed by Fernando Fuentes, head of PR at Electrosplash "We generated 650 odd jobs impacting 850,000 Euros" The producers of Electrosplash have created a truly unique 'Valenciano' experience. photos: Jota Martinez and Alexandre Zaragosa.